Mc Galaxy who was drawn into a media fight with Bobrisky over his (Bobrisky) gate man has cleared the air on the issue. The singer was accused of causing the rift between Bobrisky and his famous gatekeeper Jacob. Bobrisky had taken to social media to say Mc Galaxy encouraged Jacob to leave his job and move in with him. He said Jacob lied that his dad was ill and needed to have his leg amputated. 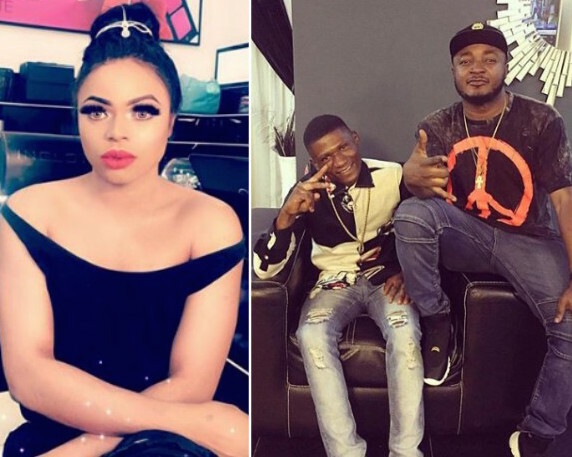 Bobrisky in his video also accused Mc Galaxy of pretending to be rich for the camera. Mc Galaxy in a bid to clear his name took a trip to Jacob's home in Jos, recorded a footage of his meeting with Jacob and his ailing father. He shared prove that he meant well for Jacob and his family online. Then gave Jacob N300k for his father's medical bill. Here are the videos he shared.